Farming diamonds should be easy. Let me let you in on a little secret. I'm not sure if the PC has this problem, but the auction house on XBox One is really bad. Yes, I said it. It's horrendous! Now you may wonder why this is important. It's very simple. It's extremely difficult for people to find items on the auction house. It's not an enjoyable experience. Before I spill the secret of how to master making bank on the Neverwinter Auction House (NAH), check this out. This is the results of a random search for the leadership profession items. Did your eyes naturally jump to box A? It probably did. My eye always go there! It's the first result, and it's normally the cheapest item. This is where you want to be. This the secret! Do anything possible to own that position. Now let's discuss box B. There is no buyout price. The seller is saying, let the market determine the final price. I think this is an anti-pattern for non-scarce items. If we searched for siege engine, there's probably a ton of them. Even if this is the lowest priced item, the seller is making the winner wait 17+ hours to get it. This is slow money and I stay away from it. I cannot over state the importance of the position of box A. Until you are completing epic dungeons and getting epic gear, there's tons of competition for the items you are moving through the NAH. One item that I owned box A for was Radiant Enchantment Rank 5 (RE5). I could always sell those consistently. Before the level increase from 60 to 70, this was a monster. Image via Gamepedia. What's your favorite enchantment? Before the patch this item routinely sold for 3,500 astral diamonds (AD). After the patch, RE5s are moving around 500 astral diamonds per sale. For me, I could still own box a for this item, but I moved on to other items. I have another use for RE5, and I will share that in a future post. How did I always move RE5 before the patch? I would sell radiant enchantments priced at 3,000 astral diamonds. Because of the this approach, I could never keep any RE5 stock up for a long period of time. Most people mentally had the priced fix at 3,500 AD, but for me I was happy with 3,000 AD. I will share why I was okay with this in a bit. If you really want to sell your items consistently, you have to price your items aggressively. When I say aggressively, I mean you have to take some AD off the table to move the items fast. In the example above, because I'm pricing the RE5 so cheaply, I'm loosing 500 AD for every item. Let look at the math. For 10 sales, I net 30,000 AD and give up 5,000 AD. For 100 sales, I net 300,000 AD and give up 50,000 AD. You may say, whoa, you are give up 50,000 AD for 100 sales. I can rationalize this behavior with an expected value (EV) calculation. Image from Rock, Paper, Shotgun. Do you which in-game area this screen grab is from? EV)(Let's take the 100 sale example and dive deep. I would say 100% of the time can make my sales quota of 100 sales with RE5 being priced at 3,000 AD. I would say 60% of the time I could make my sales quota of 100 sales with RE5 being priced at 3,500 AD. Why? Everybody else is at that price and you will have someone that would uncut the market a delay your sale or cancel it out all together. We could really argue the minutia of my example, but I will stay this. On average I can sell 100 RE5 for 3,000 AD (A) for every 60 RE5 I can sell at 3,500 AD (B). B is really 100 sales being 60% successful. Which is really 60. See simple clean math! Yes, the math is fuzzy and I'm ignoring certain statistic, gaming theory, and other importance variances. But, the math is good enough for this situation. The math is justifying why you should aggressive price items at a discount. In this case, I'm pricing RE5 at a 16+% discount (3500 - 3000)/3000 or 500/3000. Because of how I price, I'm gaining 90,000 AD (300,000 versus 210,000 AD) for every 100 RE5 I decide to sell. Hopefully this give you some insight into how to price items to make a ton of AD on the NAH. If anything wasn't clear or you would like a more in-depth explanation, please comment on this post or reach me through the contact form. As you level in Neverwinter, you may notice that you get better rewards the higher your level. After you hit the level cap of 70, the game really opens up. One important benefit is that you have the ability to enter epic dungeons. Getting to level 70 can a challenge. Here tips to getting there swiftly. ​Many quests require that you kill a certain amount of mobs in a particular area. It’s simple math, two player can kill a mob faster than one. Five players can complete the task even faster. Let’s say your current quests is to kill 30 mobs. In a party of five players, you really only need to kill six mobs to pull your weight. You should really target the same mob as your party member because bonuses and damage modifiers. Don’t go commando and trying to kill mobs on your own. The truth is that no one will pay attention that you killed four mobs instead of the six you were ‘suppose to’. If you do run into a problem like that. Find another party. Life is to short to sweat the small stuff. Being in a party does have drawbacks. You are going to get through quests faster and the reset timer remain the same. You probably want to warp to another region with your party or find a new party. Staying in the same area and killing non-quest mobs is a major no no. The easiest way to slow down your leveling is to kill mobs not in your quest line. You can have fun and do it if you like. But be aware there is a penal. You can think of it this way. You are dropping your average experience per minute. If you goal is to level fast, don’t do this. There are a lot of challenges that require that you kill a certain amount of mobs. These are great, but I would wait until after 70 to complete them. Vigilance quests normally have higher experience yield. There are a special quest in most regions that requires you to complete eight quests. The bonus quest is repeatable. I would complete this one early and often. Some quests are very difficult and time consuming to complete. Most quests have short reset period. You should focus on the easy quests and repeat those as much as possible. I can across this guide that break down quest selection per region. It’s definitely worth a look. TL:DR If you want to level fast, just complete quests. Also, be smart about your quest selection. I game on Xbox One for time to time. If you would like help questing, reach out to me through the contact form here. I play Neverwinter on Xbox One and I'm always on the hunt for ways to find astral diamonds. I came across this video that was extremely helpful. The video was made by fnhusa57. His process is straightforward and easy to follow. This one is controversial for some people. The reason is that leadership tasks take hours to complete. Other professions at level 20 have smaller time requirements. However, these tasks have guaranteed rough astral diamonds. If you research and determine the correct going rate for items, you can always price items to sell. This will be a steady stream of astral diamond income for you. 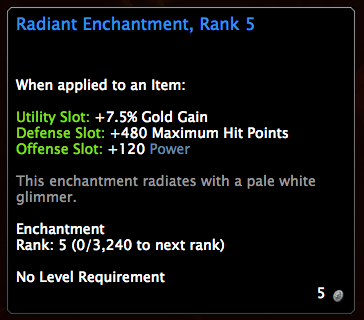 For me, I noticed there's consistently high demand for level five radiant enchantments. Radiant enchantments raised your power statistic. The power statistics is uncapped and why the demand is so consistent. Drake and unicorn seals are very easy to obtain. Just run dungeons as much as possible. The tier two dungeons is where you should focus. When you run a dungeon like Lair of the Pirate King, you will be swimming in drake seals. I had no idea about this event until I saw this video. Bonus missions rotate. Keep an eye out for astral diamond event. During the event you should think about buying rare equipment for 3 or 4K. You can salvage these for double bonus. 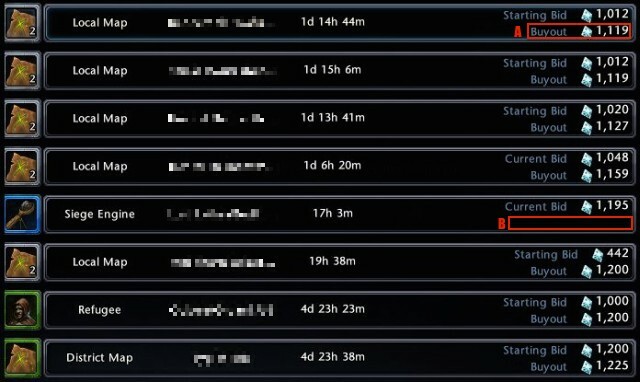 This is instance profits in astral diamonds. If an item is unbound, you can send it to yourself through the mail system. I don't rely on this one that much, but it's a really good idea. The tips above have netted me a lot of astral diamonds. What about you? Do you have some additional things that work for you? If so, I would love to hear what you have to say. Having a lack of astral diamond is a pain for low-level characters. You can't by gear or upgrade your enchantments. I was pulling out my hair until a saw a great video from Faid. Her process was easy to follow. I was able to score 5K astral diamonds a day. This may not seem like a lot, but it's a plenty for characters under level 20. I only did the run one to three time a day. If you run it more, you will make more money. The video is short but you can skip to 2:24 if you are impatient to get to the good stuff. This is a great way to increase the number of node you can interact with. If you are trying to increase the number of diamonds you have, do this. Faid ran did a walkthrough of the Helm's Hold. It has a good route for rank 2 profession materials, You should be able to get through this run in 2 minutes. When you switch map instance you will start at the camp fire. Map sure to pick a map instance with the least amount of people. More people mean an increased chance someone else is doing a farm run. What's Your Favorite Farm Run? Helm's Hold was a solid go to for my low level characters. It's consistently earns when you price items to sell. Do you have a better area for characters under level 30? If so, let me know. I would love to hear about it. My name is Eliot and I enjoy playing Neverwinter. My goal is reduce the hassle with finding astral diamonds.